Lemesios is a Cyprus based performer, film composer, songwriter, and producer. As a performer he is a guitarist, vocalist and a looping artist. 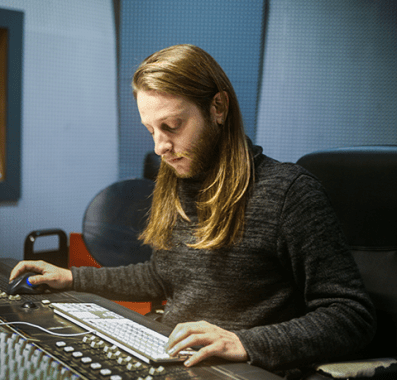 In 2017, Lemesios released his debut album “Dysphasia”, a long awaited project that brings together film scoring, progressive rock and electronic music. It’s available on all major online stores. For the live needs of the album he created the 5-piece band LEMESIOS. Lemesios also composes music for short films, documentaries and educational videos. When he is not composing, he participates in numerous other projects as a sound designer, sound producer and sound engineer. He has a background in music composition from Goldsmiths University of London. His influences include Jeff Buckley, Queens of the Stone Age, Radiohead, Pink Floyd, Leo Brouwer, György Ligeti, Clint Mansell and Moderat.